ASTROGRASS gets kids and their parents dancing and singing together, with a unique blend of bluegrass, old time, and folk music. Astrograss concerts feature sing-a-longs, dance contests, and high-energy fiddle hoedowns. 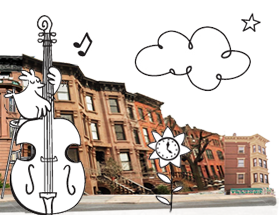 Their original songs cover topics like spelling, whether Pluto is a planet, bedtime and the many neighborhoods of Brooklyn. Astrograss features traditional bluegrass instrumentation, consisting of Jordan Shapiro on guitar, Sarah Alden on fiddle, Dennis Lichtman on mandolin, Jonah Bruno on banjo and Tim Kiah on bass. 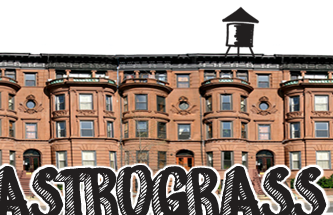 In response to the local Brooklyn parents' search of live musical entertainment for the whole family, Astrograss began playing its family shows in 2004. Astrograss family shows are for parents who want to be as enlivened as they want their children to be. 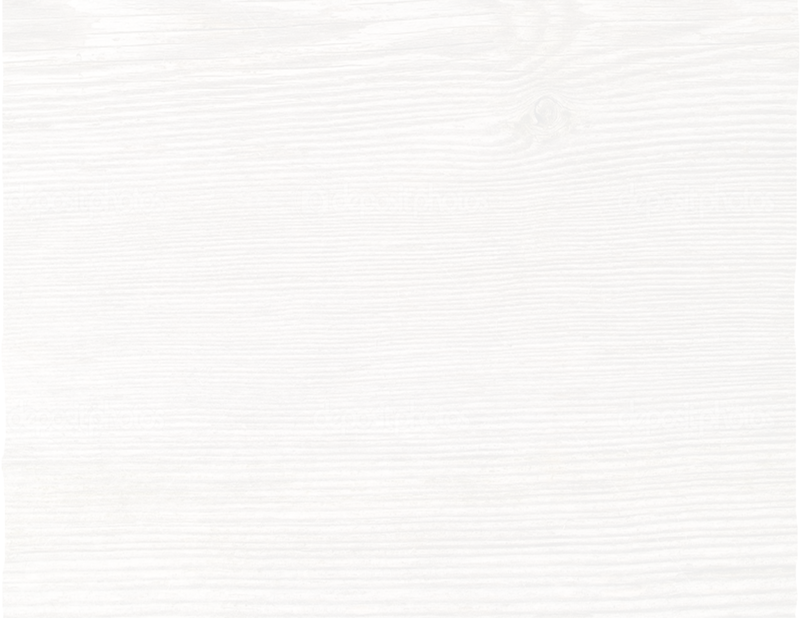 Astrograss specializes in combining rocking bluegrass music with clever, witty educations songs that will make the parents laught and the children dance. Educational and cultural topics are woven into this family show, leaving you with more knowledge about bluegrass music, and perhaps making you a better speller. Astrograss brings a high level of musicianship and entertainment to the stage, engaging both parents and children with their interactive show. Children get called on to answer questions, the audience is asked to sing by itself, and sometimes even a child is asked to provide lyrical content for a song. For those not familiar with bluegrass music, Astrograss provides a quick introduction to the music style, and introduces each instrument with a demonstration. 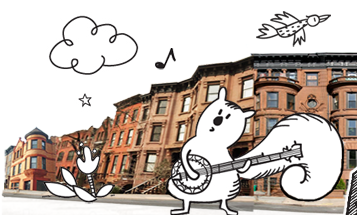 In addition to a wide range of original songs, Astrograss for Kids plays traditional American folk numbers, like 'Oh, Susanna' and 'Hot Corn, Cold Corn' They also invite their young fans to submit poems, which the band then sets to music. One such song, 'Airplane', is on "Let Me Stay Up All Night". They also offer a special educational and entertaining program for school performances. In 2006 they won the TimeOutNY Kids' Battle of the Bands contest at the Knitting Factory, and later recorded with Dan Zanes, as his backup band for the benefit album, Bright Spaces 2. Zanes produced their first album, Astrograss for Kids, a collection of Shel Silverstein poems set to music. Performance highlights from the past year include sold-out shows at both Brooklyn Academy of Music's Harvey Theatre and Symphony Space (NYC), as well as shows at the Brooklyn Children's Museum, Community Day at PS 1 Community Art Center, the Higher Ground (Burlington, VT), Riverbank State Park, The Brooklyn Botanical Garden, the World Cafe Live (Philadelphia), Madison Square Park, and the legendary Grey Fox Bluegrass Festival. The group was spawned from a more grown-up version of Astrograss, which plays progressive bluegrass and 'newgrass' music, when guitarist Jordan Shapiro and bassist Tim Kiah were both teaching in Brooklyn public schools. Their classroom experience, combined with the success of Astrograss (for grown-ups) led the band to develop a set of kid-oriented music, in 2005. 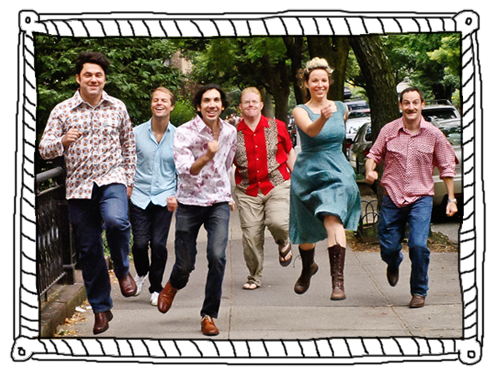 In their "for-grownups" format, Astrograss is one of the New York area's premier acoustic acts. Astrograss is one of New York's premier acoustic acts and has toured extensively throughout the Northeast, playing clubs, theaters, private parties, weddings and festivals. Check out the Astrograss website.